8 Chairs you'll want to sit on! Chairs are used throughout the home—in the bedroom, living room, dining room, kitchen and even in the bathroom! No matter where you put your chairs, you want them to be comfortable, stylish and cushy. There's no point in having a comfortable chair if it looks old and tatty, just like there's no point in having a gorgeous chair that enhances the interior of your home if it's so uncomfortable that you can't even use it. Today at homify we are going to look at eight fabulous chairs that will show you just how many options, types and varieties exist. You can choose one or a set that truly speak to you! We have to start off this ideabook by looking at this fabulous, retro chair that is in the shape of a car bonnet. Not only does this chair add a funky twist to a living room space, but it looks so comfortable too, thanks to two plush cushions that have been added to it. This type of chair shows us that we don't have to stick to conventional furniture. Be inspired and get creative! Remember that you can choose the fabric for your chairs—so take control of your chair design. Head to a fabric shop and choose bold patterns or solid colours that will not only enhance the furniture but create a delightful interior. Don't you love these armchairs by Eclectic Chair Upholstery? This expansive sofa shows us just how elegant and classic a chair can be, adding a sense of grandeur to a living room or space in the home. This particular design is a gorgeous brown leather, with works in harmony with the black and grey used throughout the interior. 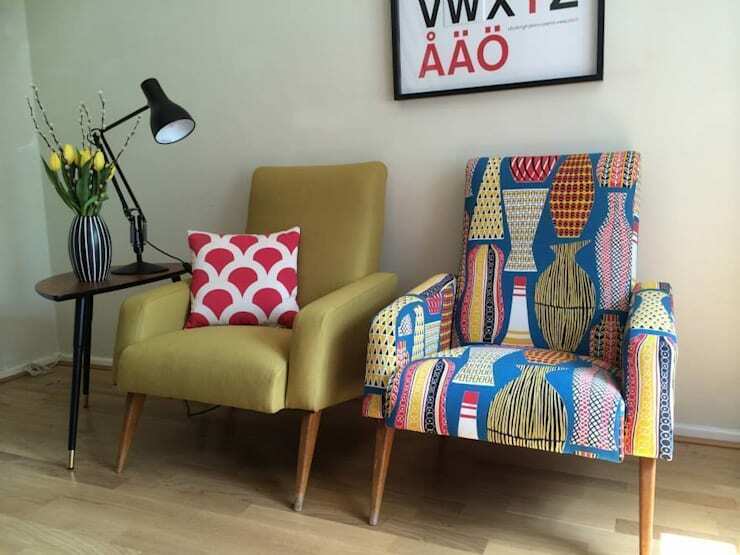 Remember that you want warm colours for your chair, which will make the space cosy and inviting. The best part of modern decor and design is how much fun you can have with colours and design. A very trendy concept at the moment is to pair a dining room table with mismatched chairs, like this one, creating a very eclectic ambiance. You can choose different colours, different shapes or different styles of chairs. Have a look at this ideabook on: How to dine in style: your perfect dining room. 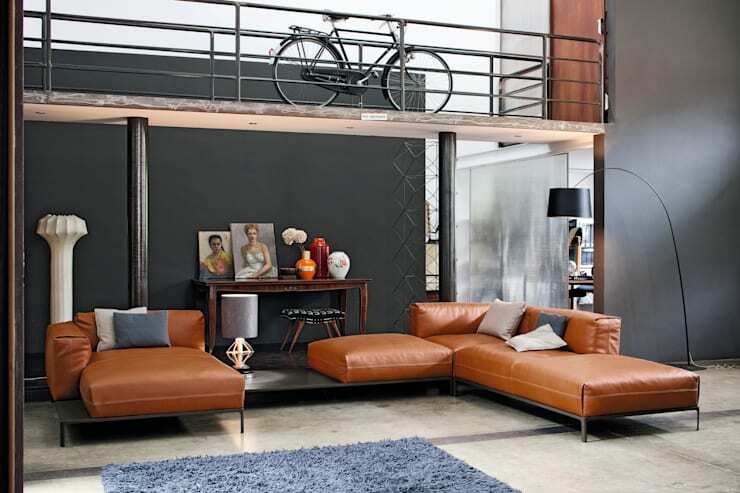 An L-shaped sofa is not only incredibly gorgeous, fitting perfectly into a room, but is also very functional. It serves as a day bed as well well as a sofa and allows for many more people to cosy up for a movie or games. This chair, by PA Fitted Furniture, is a lovely example of how an L-shaped sofa fits neatly into the living room. Opt for a neutral colour and pair with gorgeous, colourful cushions and you have a masterpiece. While you want your chairs to look great, they also need to be placed in a functional spot. If you have large windows, doors or skylights, then try to place your chairs close to these. Imagine napping on your chair while the sunlight streams in, warming your toes. 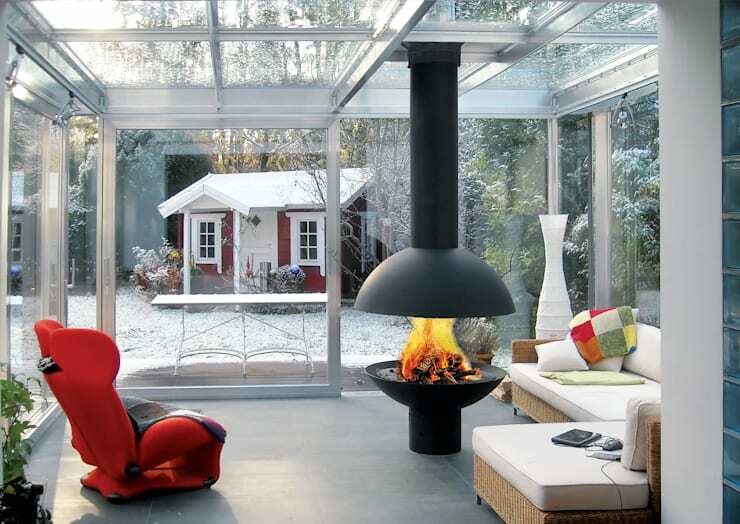 Another great option is to put your chair in front of the fireplace. For winter this is a great spot to drink hot chocolate and catch up with old friends. 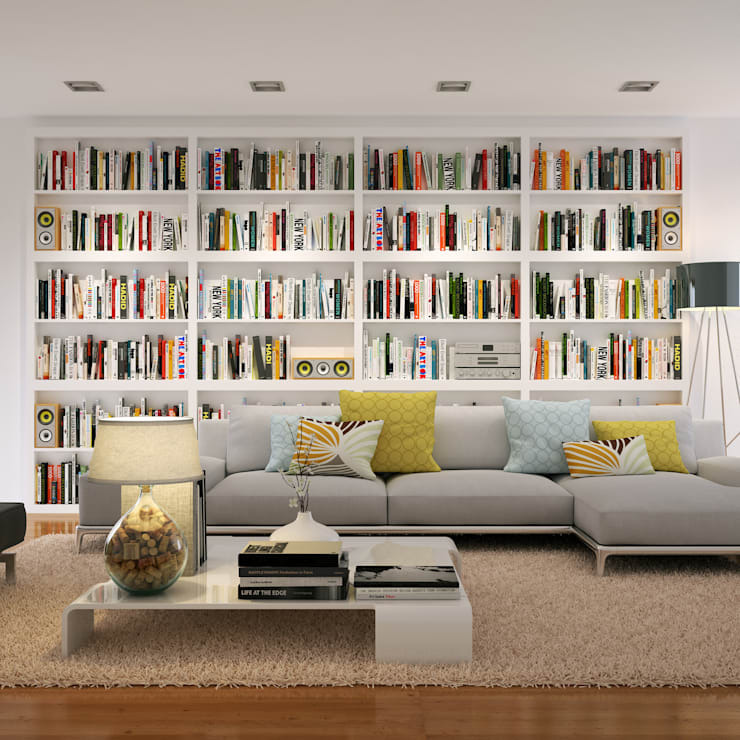 The television is also another focal point that can serve as the deciding factor on where your chair should be placed. This chair, by Kevin Depape Designer,shows just how functional a chair can be. 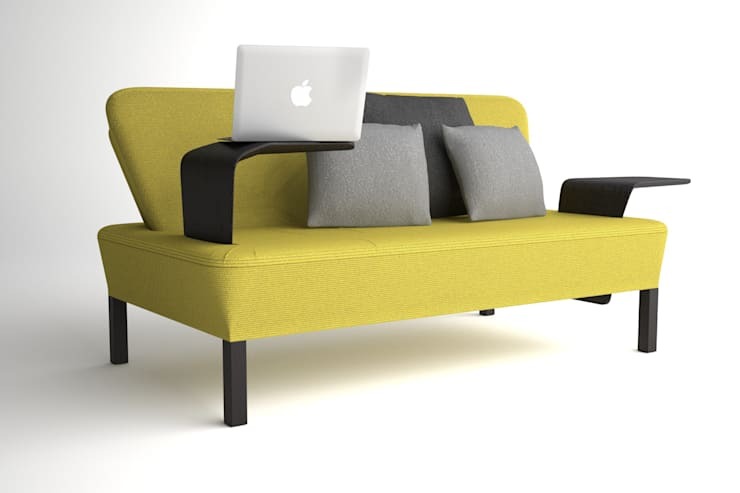 It features a comfortable base, plump cushions and enough space for two people to sit comfortably. However, it also features arms that can be used to rest a laptop. How often do you end up with your computer on your lap on the sofa? It's uncomfortable and makes it difficult to concentrate. This chair is the perfect solution! 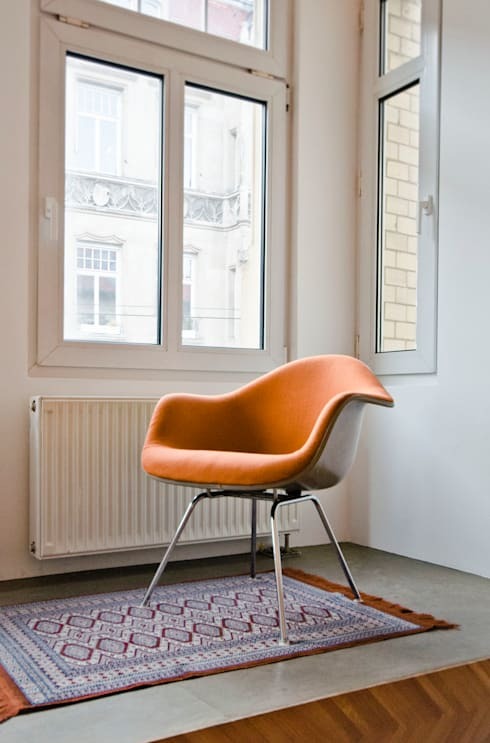 We end off our ideabook of fabulous chairs by looking at this gorgeous, egg-shaped chair that hangs from the ceiling. Not only is it stylish and trendy, but it takes up virtually no floor space. If you opt for chairs like this, make sure that you fasten it securely to the ceiling. Also ensure that the kids don't end up swinging too much in it. Which chair would you want for your home?